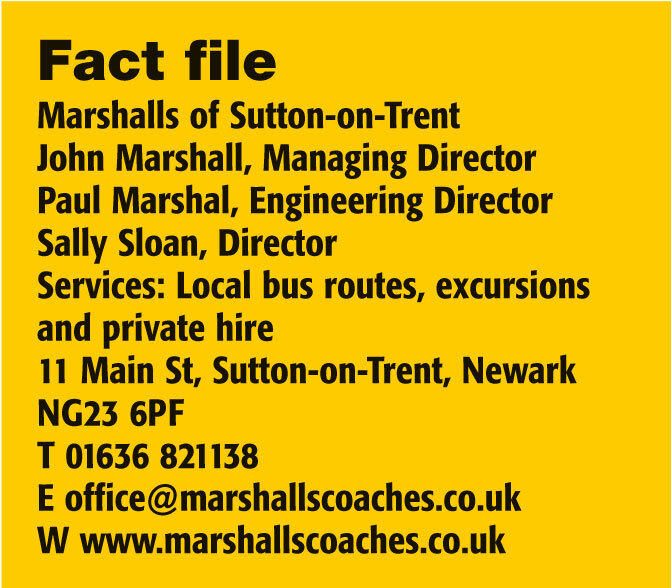 What drew Marshalls of Sutton-on-Trent to join the Guild of British Coach Operators? 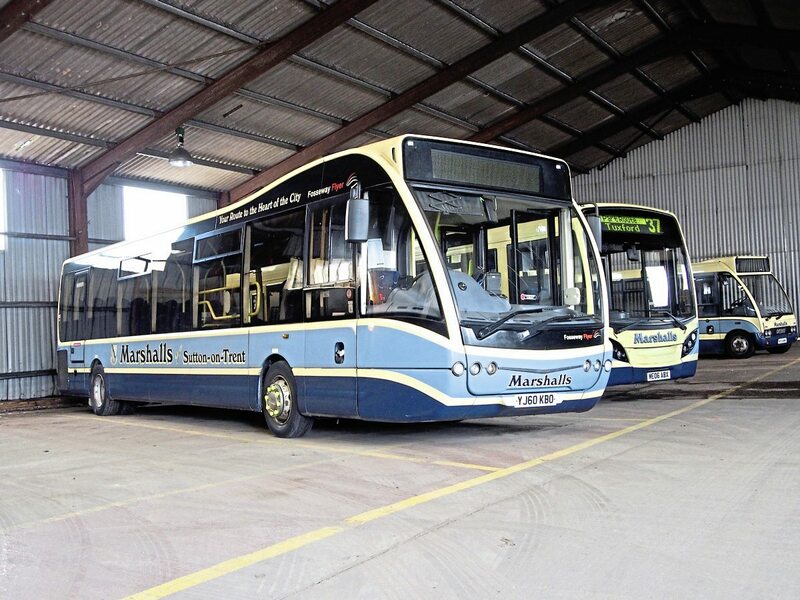 Before pulling into Marshalls’ headquarters in the pleasant Nottinghamshire village of Sutton-on-Trent, a pristine Optare Solo from its fleet passed by. Although the weather was wet and there was no shortage of mud on the roads, it was impressively clean. It was a small thing, but noticeable and it made a positive impression. 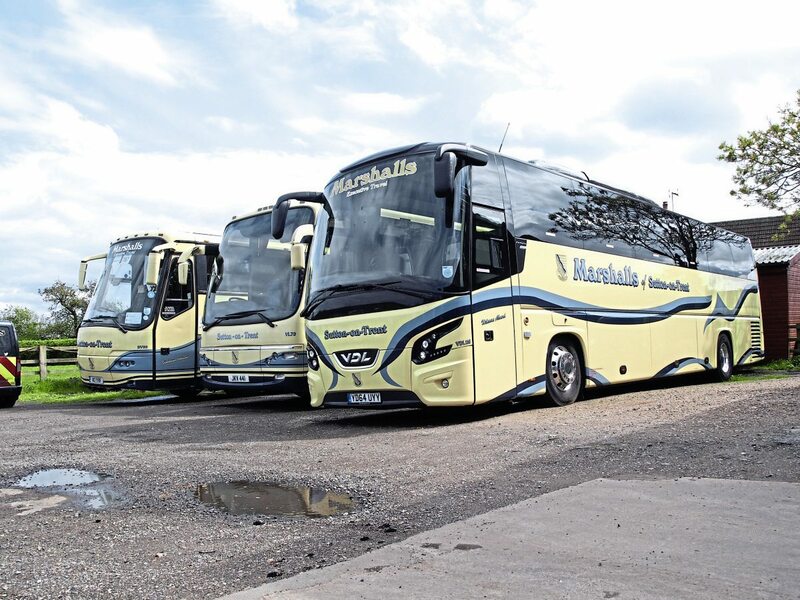 As Paul Marshall from the company went on to say, it is these little things that count and are what help it achieve the high standards of operation required to become a member of the Guild of British Coach Operators. 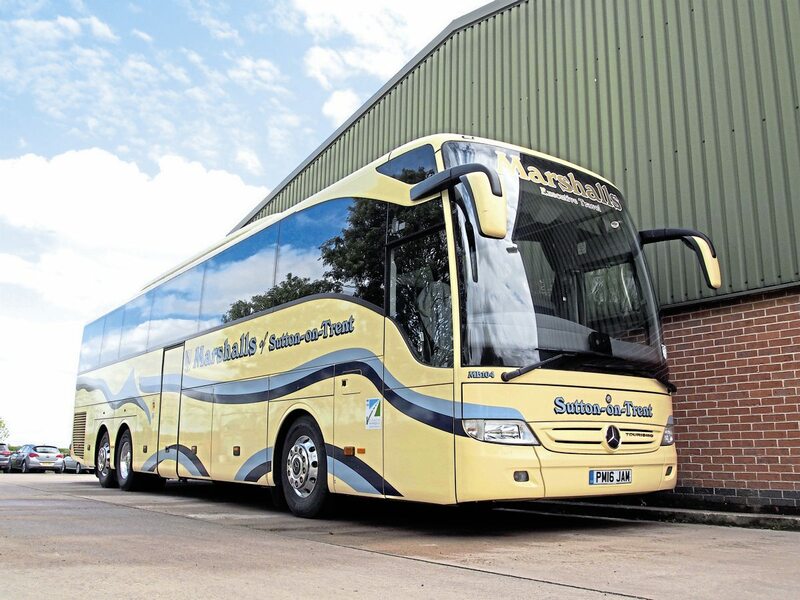 The company is the latest member to join the prestigious organisation. Giving a warm welcome to his office on arrival was Paul Marshall, who admitted he is at his element in the workshop maintaining a coach rather than behind a desk. 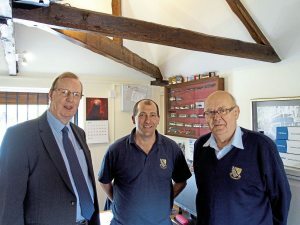 He is the Engineering Director, but these days looks after the day to day running of the operation, being the only full-time member of the management team. 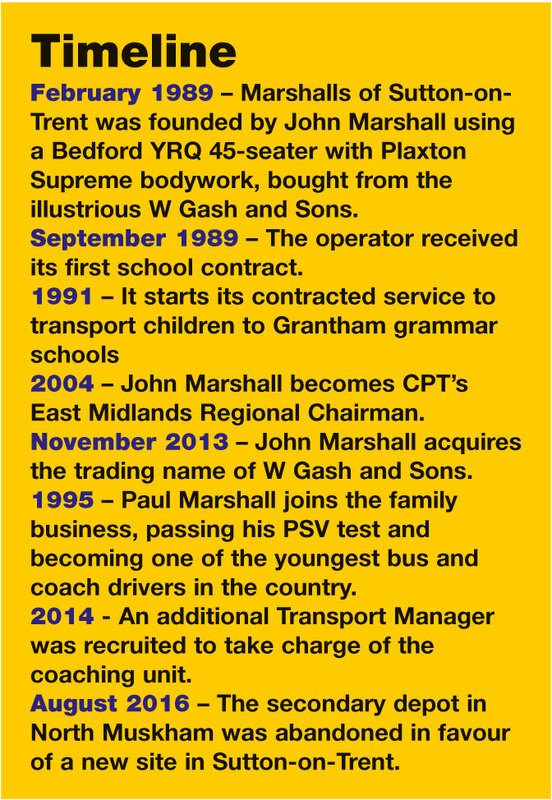 Also involved in the running of the firm is his father, John Marshall, a staunch supporter of the CPT, having been head of the organisation’s East Midlands region for many years. Another family member involved is Paul’s sister, Sally Sloan. 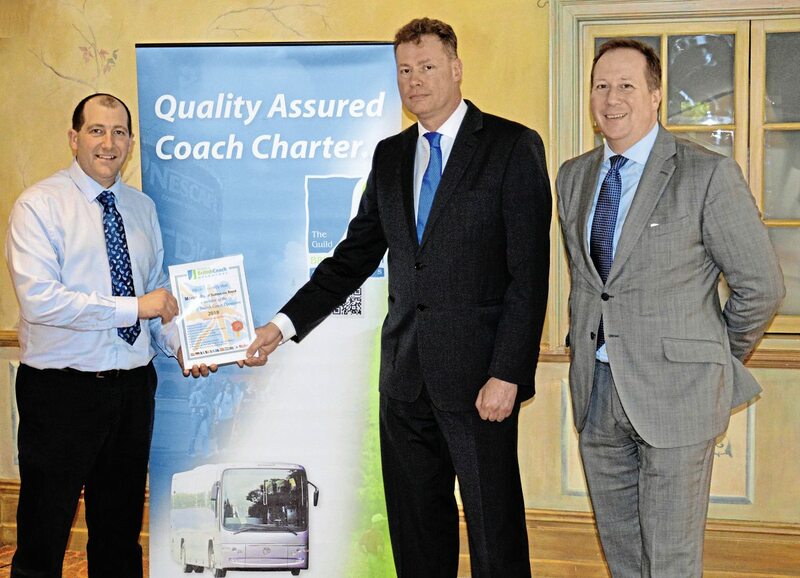 Joining Paul in his office was Richard Delahoy, Administrative Director of the Guild of British Coach Operators. 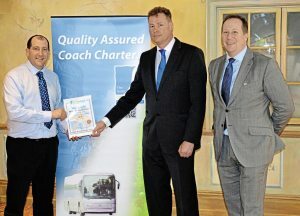 Passing the Guild audit is recognised by CoachMarque and currently 20 Guild members are part of scheme. 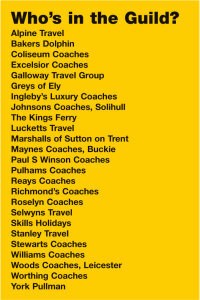 Marshalls is one of them, proudly displaying the stickers of the CPT administered scheme on the bodies of its coaches. The Guild is about a commitment to operating to the highest standards, being at the forefront of developing best practice and sharing that with fellow members. Richard said there is openness and trust among the membership, engaging in a free and frank exchange of ideas with fellow members. It is not just the director that benefits from it, as best practice meetings are held for engineering managers, operations managers, trainers and marketing staff. If one of the members has an emergency, the others are encouraged to help where they can. 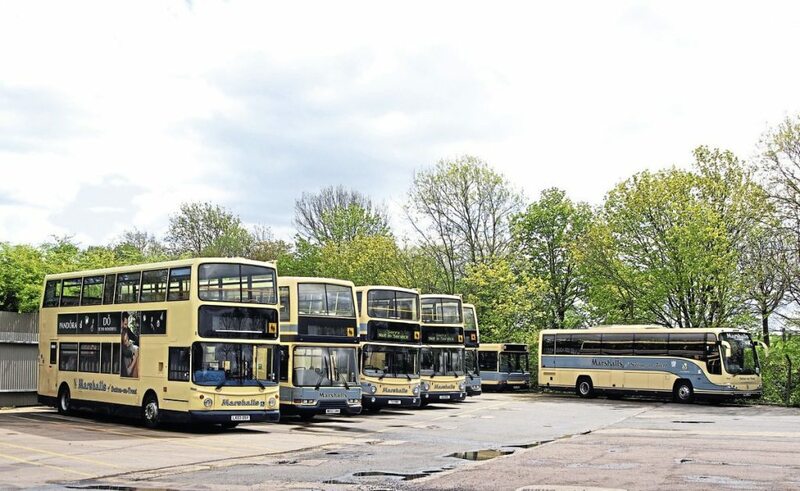 The Guild registered in 2008 as a Driver CPC Training Centre and provides a suite of specially designed courses to members as a consortium for them to deliver to their staff. 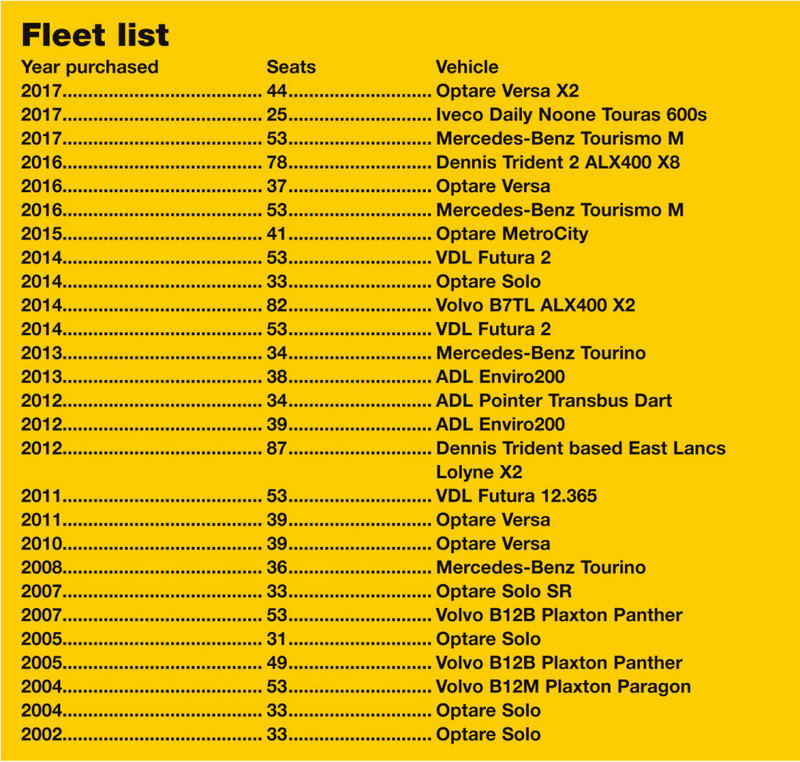 The organisation also organises presentations from and discussions with industry suppliers, such as technology providers Faltcom, Distinctive Systems and TruTac, as well as other innovative solutions, including: Vamooz and sn-ap. 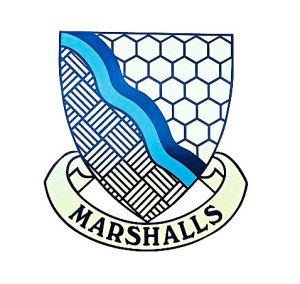 Despite gaining entrance to the Guild, Marshalls has not ended its focus on pushing operational standards. 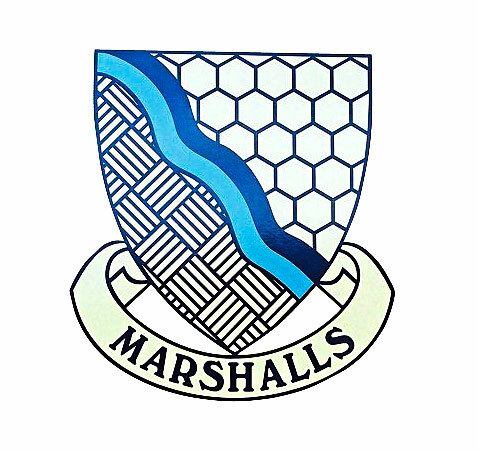 It is currently planning to computerise the management of the workshop. 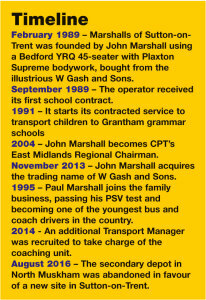 Paul has employed computer-savvy Jacob Marshall (no relation to Paul’s family) to its engineering team, who is tasked to do this. 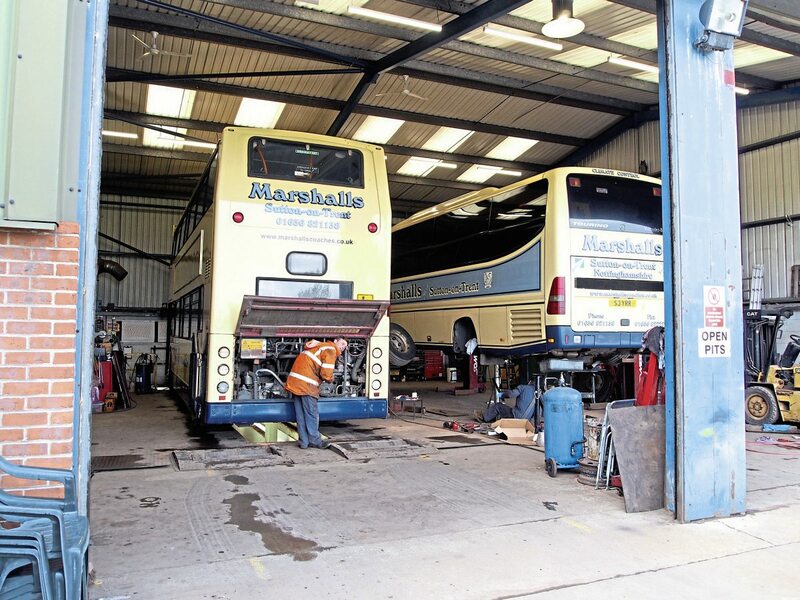 The operator’s maintenance facility is to get internet access and young Jacob is to play a big part in installing an electronic maintenance programme. 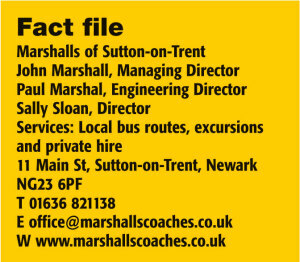 The operator has two depots, one in the centre of Sutton-on-Trent and one on the outskirts of the village, just off the A1. Paul said those who work out of the latter site have a foreman they can go to for assistance. 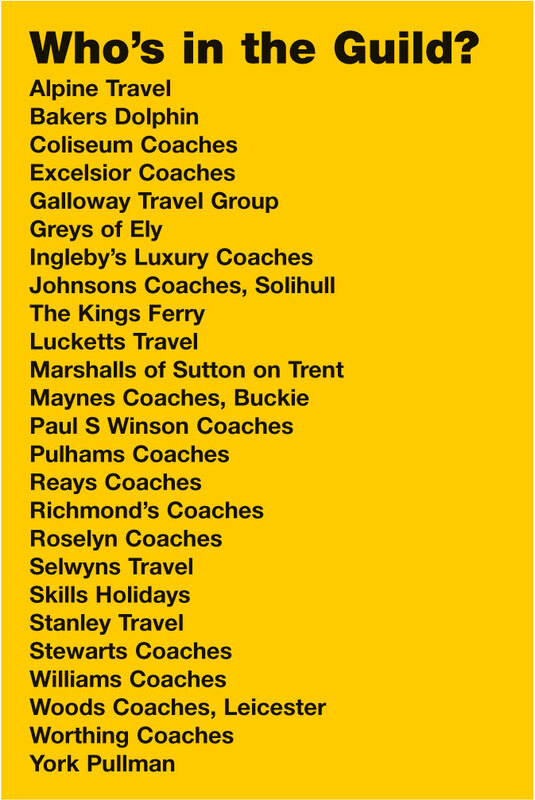 So far, five Guild companies have achieved Earned Recognition status: Coliseum Coaches, Lucketts Travel, Stanley Travel, Stewarts Coaches and Worthing Coaches. When it comes to computer systems, Paul said integration of them is the “Holy Grail”. Richard explained what the Guild looks for in applicants: “We want people to apply because they want to buy into our ethos. It’s about participating. To join, you need to commit to get actively involved in meetings, to share ideas. 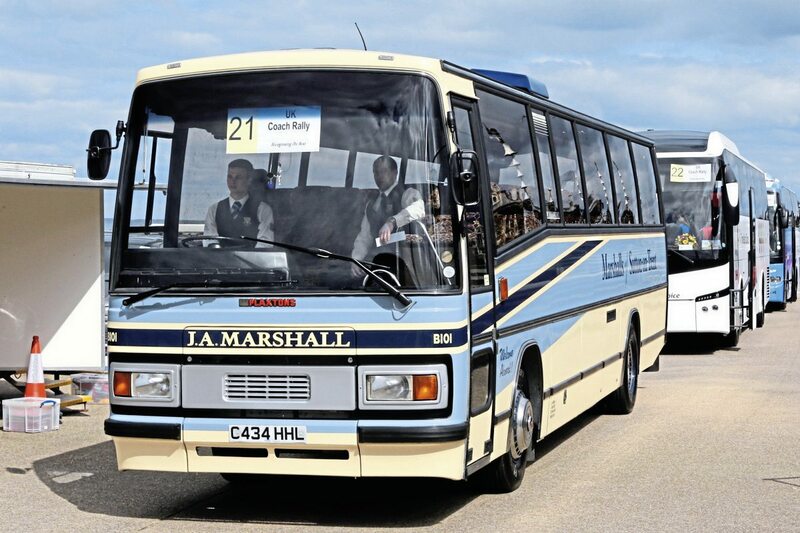 Richard will visit the operation and do due diligence prior to the application process starting. The expectation is for the operator to exceed the financial standing the O licence requires and to have had the licence for over five years. Each member must pass the audit every two years. Companies become members of the Guild, rather than individuals. A stipulation is members should not regularly sub-contract work. “It’s that which will kill the industry,” Paul speculated.